Aaron Perry is an accomplished Senior Executive with more than 20 years of success across the energy, financial, natural foods, and organic agriculture industries. Leveraging extensive experience in executive leadership, financial modeling, business growth and sustainability, he is a valuable advisor for an organization seeking guidance in developing and maintaining competitive advantage in a rapdily changing marketplace. His broad areas of expertise include enterprise assessment, executive leadership, financial modeling, branding and brand messaging, pitch deck development, corporate social responsibility, sustainability program development, risk management, and strategic planning. 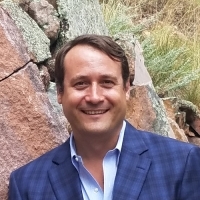 Throughout his executive career, Aaron has held leadership positions with the Y on Earth Community, recycOil, and SOURCE Local Foods - through which he has provided products and services to Denver Int'l Airport, Kroger, McDonalds, Whole Foods, Wal Mart, Vail Resorts, the United States Air Force and US Army, and several Universities, REITs, and Corporate Office Complexes. With his deep expertise and ability to strategize across knowledge-domains, Aaron works with Boards of Directors, CEOs, CFOs, CMOs, CTOs, CIOs, and CSOs in order to develop, mobilize and deploy comprehensive strategies for 21st century market dynamics. (As Originally Published on Medium) We are all sailing together in uncharted waters. I&rs..
(As Originally Published on Medium) We are living in the middle of a perfect storm—or, at l..
As Directors and Executives, we must be on the constant lookout for the potential rewards of emerg..